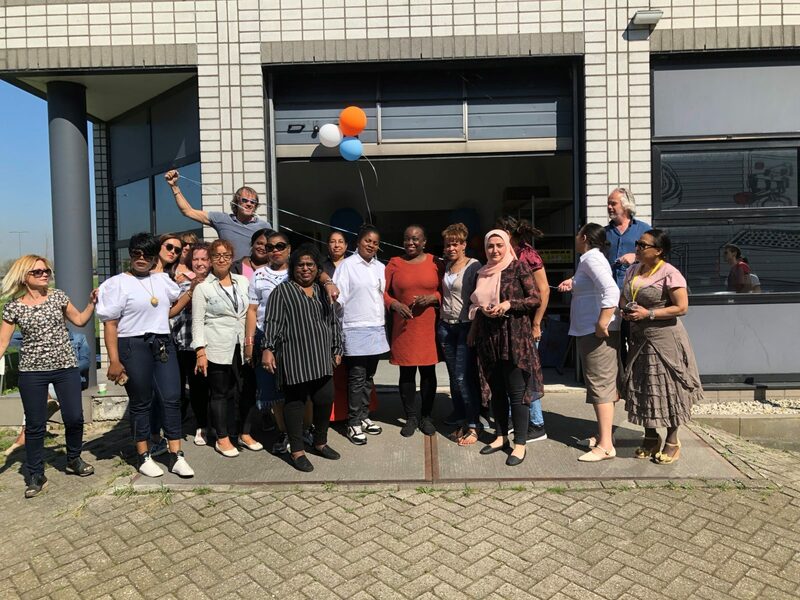 Friday April 13th, the official opening took place of ICL´s new sewing facility. ICL is experiencing a period of rapid growth, due to the success of Kerasil® sales and tailor made Signaveris products. Besides an increase of sales figures, the growth shows in how crowded the production facility becomes. Both machinery and personnel are multiplying in order to meet the growing demand. To allow for sufficient work space, storage, machinery and efficient production routing, more space is needed. When a building becomes available in the same Rotterdam industrial complex as ICL is established at, ICL jumps at the chance. Within a few weeks, the building is renovated and decorated and the sewing facility is moved further down the street. We celebrate the official opening with a BBQ on a rare sunny April Friday afternoon.